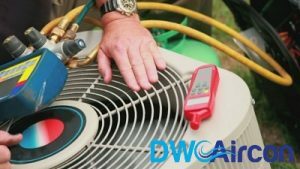 There are several professionals at DW Aircon servicing in Singapore explaining the most common central air conditioning failures and how to repair them. They also offer fair prices for these aircon repair services to those who need professional assistance in Singapore. Central air conditioning breakdowns are not uncommon and such failures are made worse during heat waves. Hiring a repairing technician will usually take several days and such aircon services often cost a few more hundreds. But in case you’re comfortable around electricity, you can do the air conditioning servicing yourself, which would only take around two hours and a few dollars. 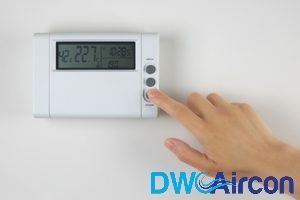 DW Aircon technicians in Singapore give their best maintenance tips and air conditioner repairs that customers can do themselves, which can solve the most common “no cooling” and “ low cooling” problems. You will need an inexpensive multimeter, an assortment of screwdrivers, a socket set, and a voltage sniffer. If these air conditioner repairs do not work, the most common failures will at least be covered and the technician will then have to look for other aircon problems. When you do get new parts for your air conditioner, there will be a high chance that it will last several years without breaking down. One needs to set the thermostat to AC mode and then lower the setting of the temperature. If the furnace fan isn’t running, try to reset the circuit breaker of the furnace. Next, check if the condensing unit outside (the one that sounds like a fridge) and the fan are running. If not, follow the repair and troubleshooting procedures shown below. If the filter was clogged or a number of registers were closed, then the reduction in the flow of air could have led to evaporator coil being iced up, hence stopping to cool the house. If you have opened the registers and changed the filter and airflow is still not getting to the registers, then deice A-coil and move thermostat mode switch to off from cooling and the fan switch to auto from on. The blower should be left to run until there is a good flow of air at the registers. If the aircon is working the next 12 hours after being turned on, then the problem has been solved. You will have to set the multimeter into the lowest scale of Ohms then touch the black and red leads into the opposite ends of every fuse. If you see a numerical reading then the fuse is good, but if you get a minus, an infinity symbol or zero then that is an indication that the fuse is blown. Most of the disconnect blocks have two cartridge fuses and you should check them before they proceed to repairs. A fuse that is blown is an indication of a part that is failing inside of the condensing unit hence you should locate that part and replace it as he replaces the fuses. Make a short between Herm and Common terminals and between Fan and Common terminals. Follow the electrical conduit that is from the house and that is where you get the access panel. Switch off the power and then remove the access panel and retain the screws then remove the panel. Before replacing these parts, you should check if there are nests for rodents so that you can establish if the electrical connectors and wires have been chewed. If that is the case then first discharge the capacitor and repair the wires.